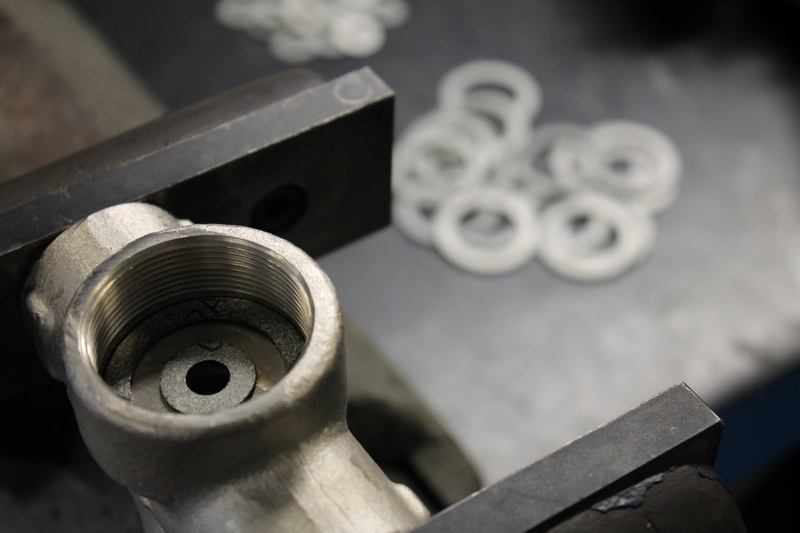 Recently at DONIT®, one of our customers was faced with steam trap valve sealing challenge. We are talking about saturated and superheated steam at 46 bar and 400°C. Previous graphite gasket materials applied to the valve broke up during installation, as they were instable and prone to friction movement. Pieces of remaining gasket had to be removed and seating of the gasket to be cleaned. Solution to above described problem is GRAFILIT® IQ, a special engineered high quality gasket sheet material with outstanding anti-stick performance. It is made of exfoliated natural graphite foil laminated by a special process to an expanded chromium-nickel-steel insert (1.4404 / AISI 316L).